Pomeriggio e serata concerto con musica, poesia e pittura. 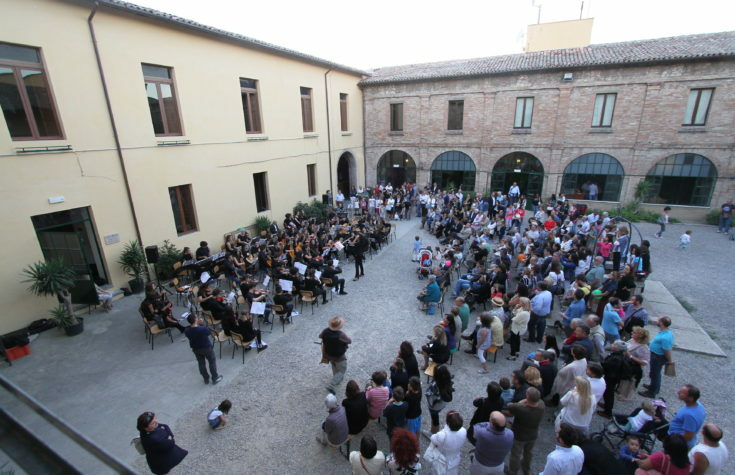 A cura dell’orchestra della scuola secondaria di primo grado “Cocchi-Aosta” e del liceo “Jacopone da Todi”, in collaborazione con i ragazzi delle classi terze della scuola secondaria di primo grado “Cocchi-Aosta”. It will be shown a drama / documentary film on the Holocaust and as part of the “Progetto Memoria” (lit. “Memory project”), memory and remembrance by Clelia Terracina and Lorella Ascoli . Cured by the lower secondary school “Cocchi-Aosta”. As part of the “Progetto Memoria”, students will meet Lorella Ascoli at the secondary school “Jacopone da Todi”. Cured by the school “Jacopone da Todi”. 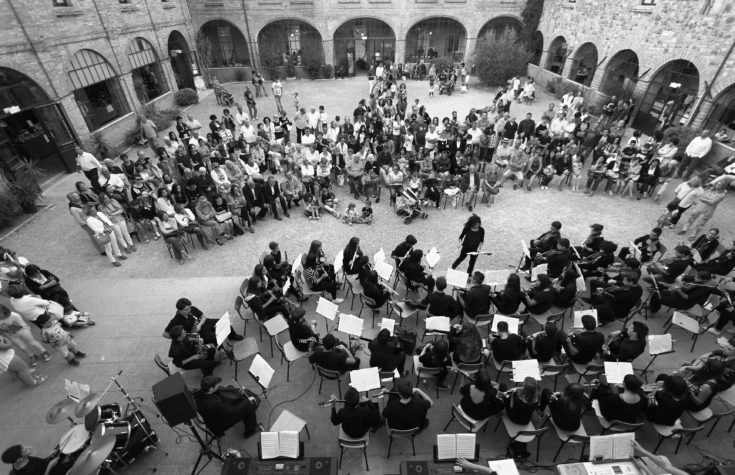 Afternoon and evening concert with music, poetry and painting. 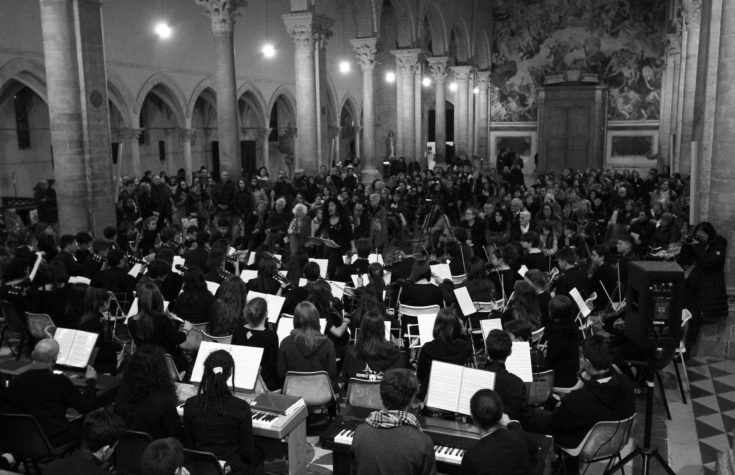 Organised by the orchestra of the lower secondary school “Cocchi-Aosta” and the secondary school “Jacopone da Todi”, in collaboration with the third-year students of the “Cocchi-Aosta”.